When it comes to collecting photographs of mid-century America, just as the locals saw it through the lenses of their cameras, our friend Charles Phoenix is king. He has amassed a treasure trove of more than a million vintage Kodachrome slides, and his retro slide shows play to standing-room-only audiences across the country. This colorful view of the White Front store, once located at 2222 S. Harbor Blvd, comes from Charles' book Southern Californialand (published by Angel City Press). 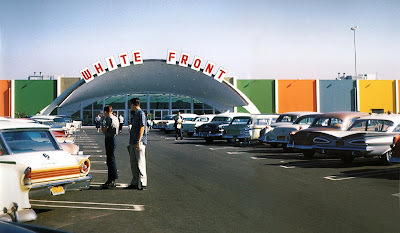 Orange County's first "big box" discount chain store, White Front was the Target of its day. 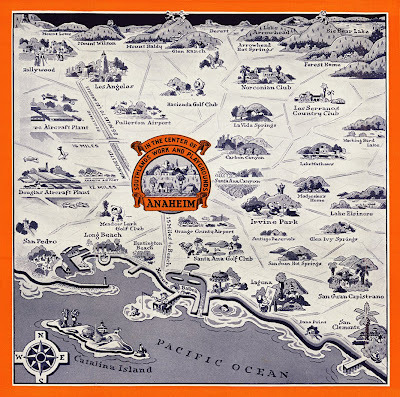 *Get yourself a copy of Southern Californialand. 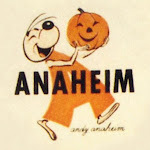 A while back, we shared an image of the front of an old brochure from the Anaheim Chamber of Commerce. 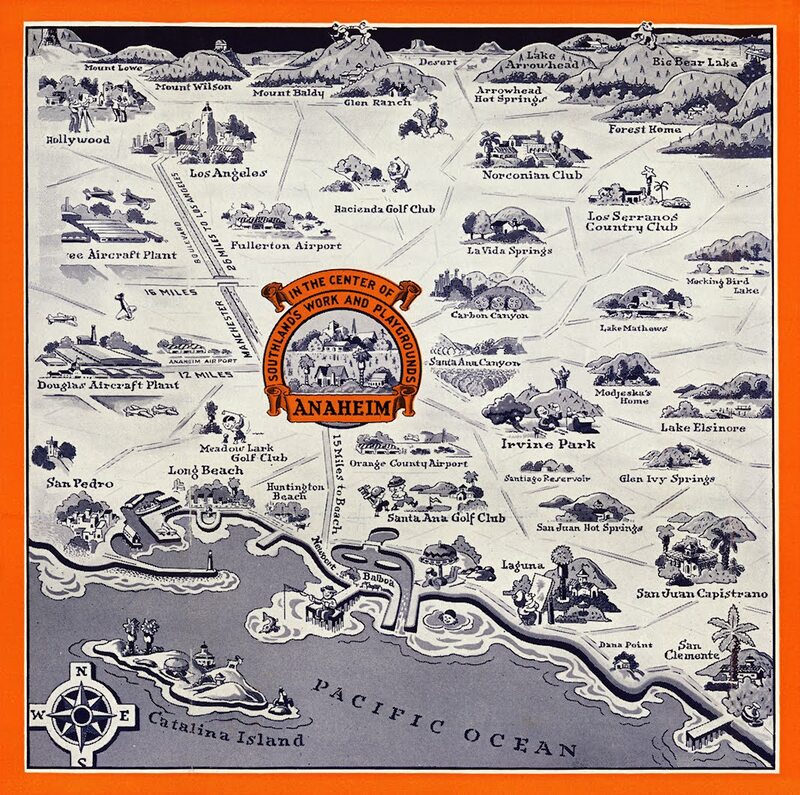 Our pal Chris Jepsen recently posted the brochure's interior fold-out map on his terrific OC History Roundup blog. The graphics are delightful! Thanks, Chris! of the map from Chris's flickr set by clicking here.